At least 75% of a car’s value must originate in North America, up from 62.5% under existing NAFTA rules. 40-45% of the car must originate in plants where workers make $16.00 or more per hour. But Wait – What About Canada? Canada didn’t participate in the agreement, and no changes can be made to NAFTA without the consent of all three countries. The US Congress hasn’t given its stamp of approval, which is required before any changes to take effect. The general public still doesn’t know a lot about the details of the renegotiation. In the best case scenario, changes will quickly be approved by all parties, and the new will NAFTA become law with few major alterations. There’s a chance this could happen, because auto parts suppliers in the US and Canada stand to benefit since workers in these countries typically earn far higher wages than workers in Mexico. Slightly higher costs might be passed on to consumers, but greater industry stability may outweigh the downside of price hikes. However, the plan as it exists is far from certain. Because a 90-day review period is required by the US Congress, it must receive a finalized version by this Friday, August 31, in order for Mexico’s current president to sign it before the end of his time in office. New president Andrés Manuel López Obrador may not agree to the deal, or he may wish to renegotiate yet again. This is troubling given that Canada must also buy into the plan. 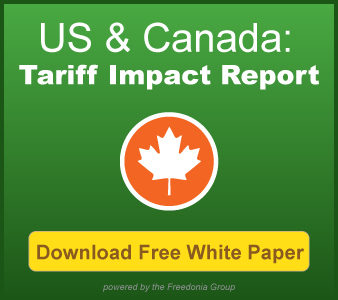 President Trump threatened to impose tariffs on vehicles made in Canada if the country’s government doesn’t sign, but this move seems unlikely to work, given that Canada has stood firm in the face of past tariff threats from the US president. Furthermore, President Trump wishes to include a provision in the new NAFTA that would require periodic reviews and changes, making long-term planning difficult for automakers and other capital-intensive industries. Unfortunately, the preliminary agreement announced will likely only add to uncertainty faced by North American manufacturers in the short term, even if it is submitted to Congress for review by the end of the week.